I want to especially thank Scott Shean and Bob Burkett. 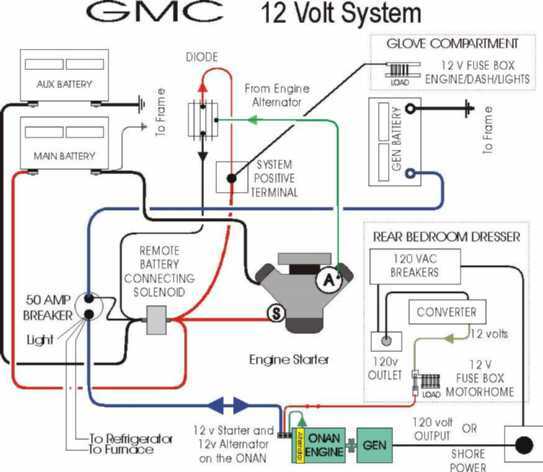 Scott e-mailed me a copy of his wiring diagram. What a piece of art. We should post it some where so that everyone can see it. He said that he originally created it in CorelDraw and transferred it to Word. Drawings like that are so easy to follow. 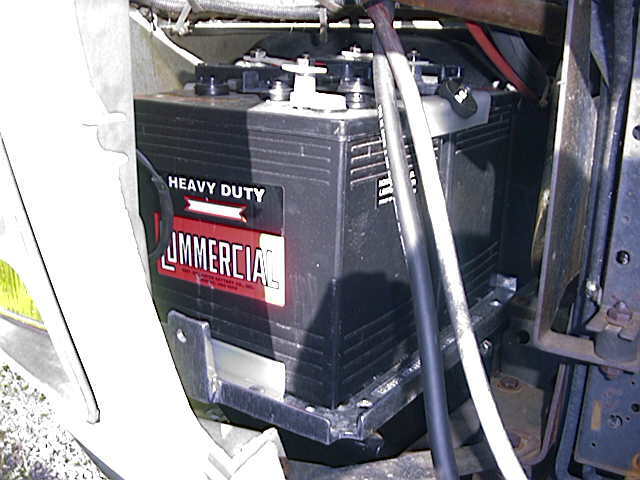 Virginia Golf Cars and Batteries, Inc. These parts are from a Melex golf cart, total cost of the above is about $15. VGC has indicated that they will ship but there should be other Melex dealers around the country. 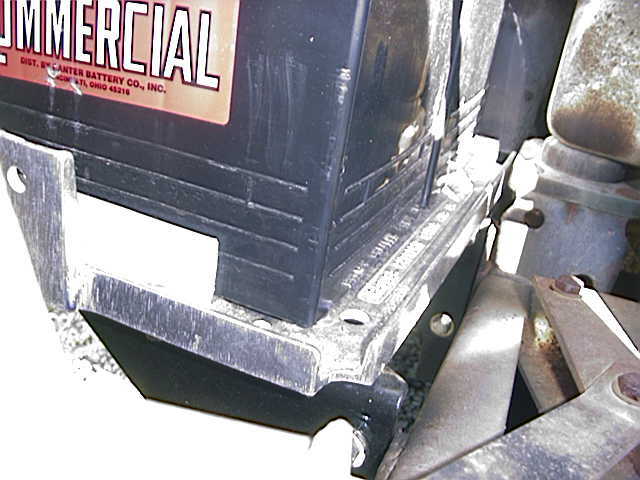 Some additional items are needed, such as carriage bolts to retain the battery stops and nylon spacers to raise the stops above the battery tray. Stainless hardware is recommended wherever possible. 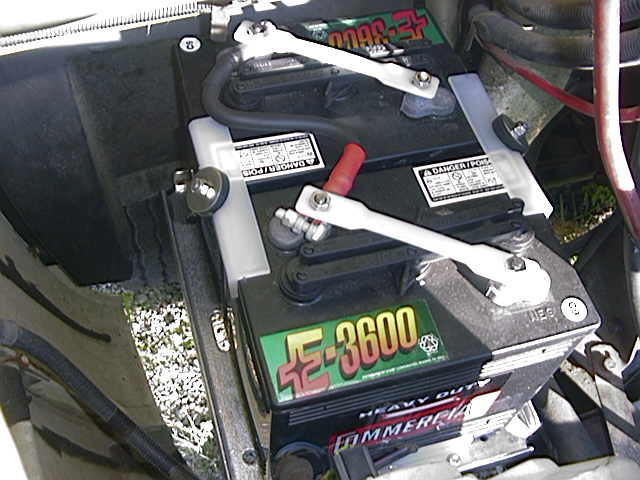 The tray pictured is a Ragusa two-battery tray which fits on the stock brackets and replaces the OEM tray if so equipped. An additional slot is needed for one of the J-bolts, and the tray must be drilled to fit the supports.